Want it by Thursday 25th April? Order within 6 hours, 12 minutes and choose Special Delivery at checkout. 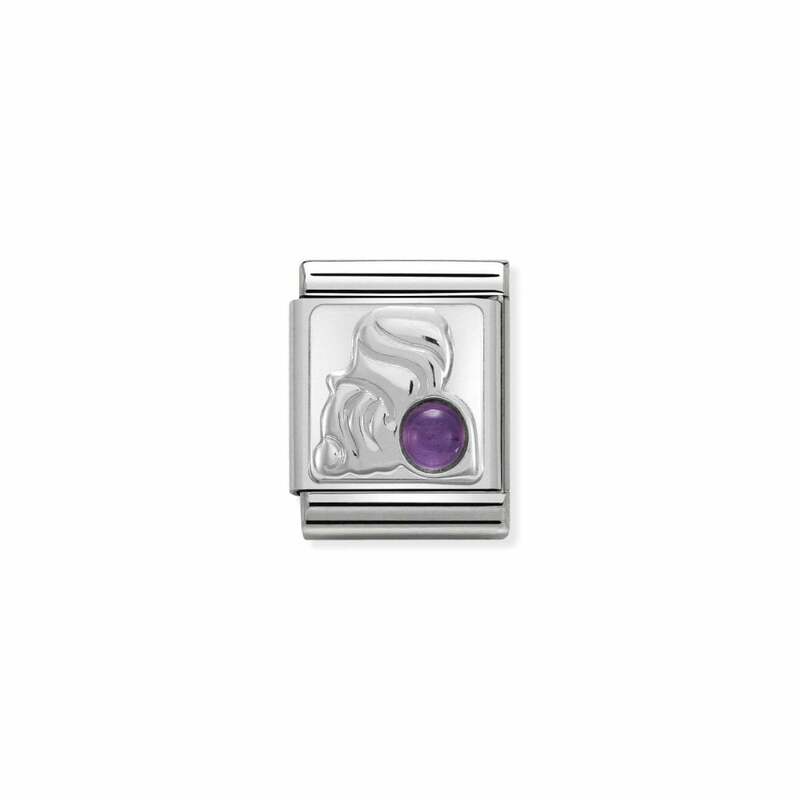 A steel and silver charm with an amethyst Aquarius sign. A perfect gift for someone who was born Jan 20 – Feb 18. Comes with official NOMINATION packaging and 2 year warranty.